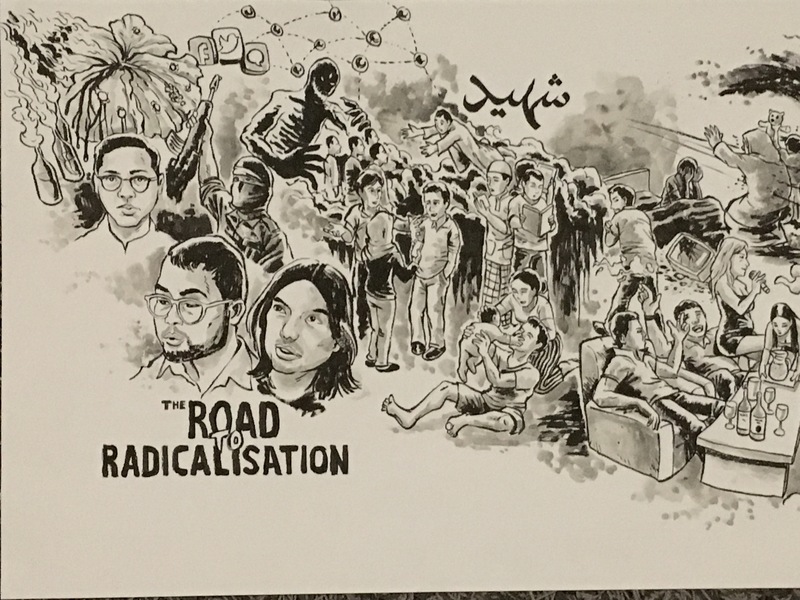 I contributed a timelapse of my drawing for a 45 minutes podcast documentary entitled ‘Road to Radicalisation’ by Ezra Zaid and Zan Azlee. 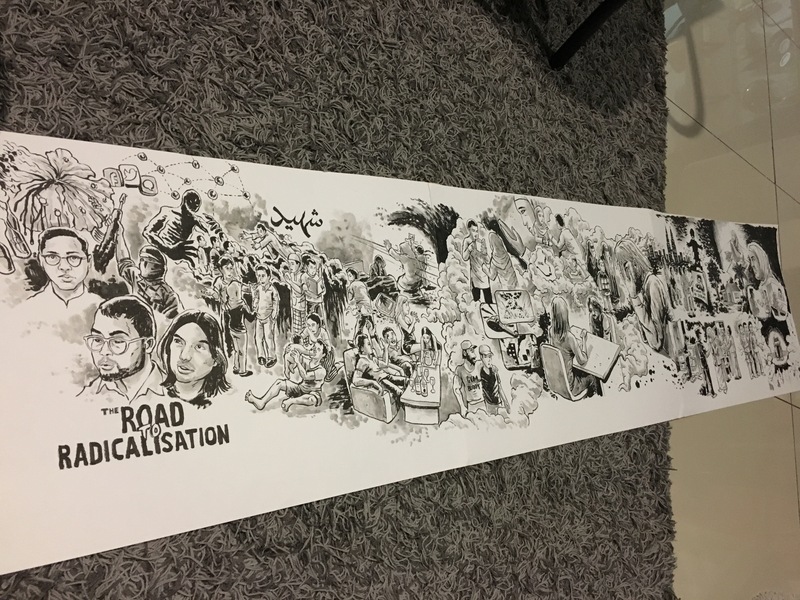 The whole drawing is 1.2 metres long and total time taken was 6 hours. 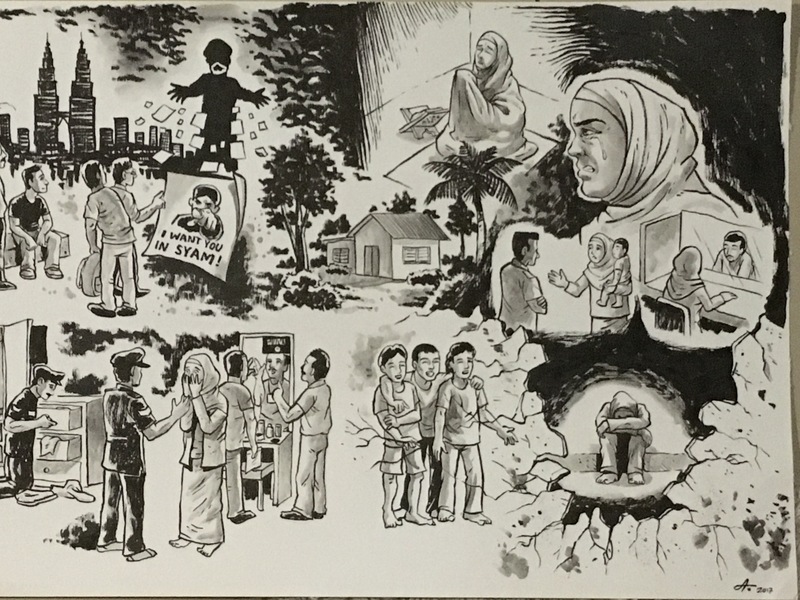 Sample of the documentary is shown below.